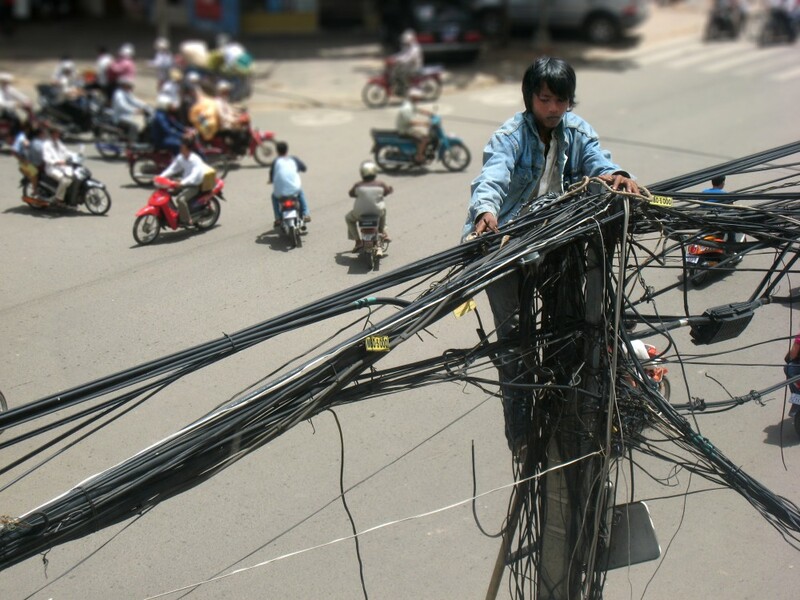 How would you like to have the job of repairing power lines in Cambodia? This young boy risks his life everyday so that he can help put food on the table. The busy life on the street helps to make it even stronger.